Updates - KROSS 2 System Updater v1.1.0 and KROSS 2 Editor/Plug-In Editor v1.0.0 are now available. KROSS system version 1.1.0 includes a number of new features, as listed below. In addition to the new features, KROSS 2 System Version 1.1.0 includes various improvements and resolutions to specific operational issues. We recommend that all KROSS 2 users update to version 1.1.0. This update may be installed on any KROSS2, regardless of the currently installed system version; it is not necessary to install intermediate upgrades first. The KROSS 2 Editor and KROSS 2 Plug-in Editor are applications for Macintosh and Windows that allow you to edit the KROSS’s Program, Combination, Drumkit, Arpeggiator Pattern and Global settings, as well as Sequencer mode sounds and effects for multi-timbral use (editing of MIDI data is not supported). •The KROSS 2 Editor is a stand-alone editor. •The KROSS 2 Plug-in Editor is compatible with DAWs (Digital Audio Workstations) and other applications which have support for the VST and AU plug-in formats. The KROSS 2 Editor and Plug-In Editor 1.0.0 requires KROSS2 System Version 1.1.0 or later. New style is now available for the Pa4X, Pa1000, Pa700! Updates - Pa700 System Updater v1.4.0 is now available! Updates - Pa700 Oriental System Updater v1.4.0 is now available! Make music more fun online: KORG Gadget for Nintendo Switch version 2.1 update is now available! Updates - Pa4X OS NEXT v3.0.1 is now available! Updates - Pa4X Oriental OS NEXT v3.0.1 is now available! [Update in March] KORG Gadget 2 Plugins for PC with 6 additional gadgets! Great introductory offer - but only until Mar 31. Updates - volca drum System Updater v1.11 is now available! KORG Gadget 2 for iOS and KORG Module latest updates now available! Updates - Pa1000 System Updater v1.3.1 is now available! Updates - Pa4X OS NEXT is now available! Updates - Pa4X ORIENTAL OS NEXT is now available! Updates - KRONOS System Updater v3.1.3 and Sub-System Firmware are now available! KORG iMS-20 and iPolysix’s long-awaited KORG Gadget compatibility. The latest update now available! Limited Time Sale. 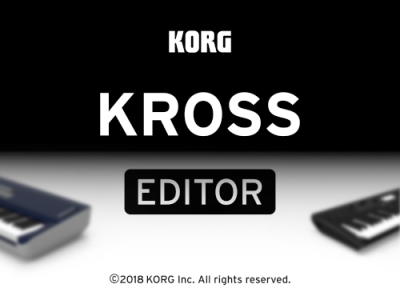 Updates - KORG USB-MIDI Driver for minilogue xd and KROME EX is now available! Updates - minilogue xd System Updater v1.0.5 is now available! Updates - minilogue xd Librarian & New Custom oscillator from Sinevibes "Bent" now available! Send your KORG Pa4X to the NEXT level! KORG is pleased to announce Pa4X OS NEXT, the new Operating System for the Pa4X Professional Arranger. Updates - volca modular System Updater v1.0.5 is now available! Updates - KORG USB-MIDI Driver compatible for macOS Mojave is now available! The original complete style preload of Pa3X is now available! Updates - prologue System Updater v1.30 is now available! Tuning stability fix and improved performance. Free custom oscillator available and third-party content featured! Make music together online: KORG Gadget for Nintendo Switch version 2.0 is now available – with online multi-player capabilities! EK-50 - System Updater Version2 is now available! SongBook Editor v3.0 is now available. It support Pa700, Pa1000, and Pa4X. Updates - Grandstage System Updater v1.0.3 is now available! The tuner app "KORG cortosia" version 1.6.2 is now available. Updates - EK-50 System Updater v1.4 is now available! Now available the special application "KONNECT Upgrade Tool App" for updating KONNECT's firmware. New sound library for minilogue "The Deep Dive"
Updates - G1 Air System Updater v1.0.7 is now available! Updates - Pa700, 1000 and Pa4x System Updaters are now available! Updates - prologue System Updater v1.12 is now available! Updates - minilogue System Updater v1.24 is now available! Updates - monologue System Updater v1.14 is now available! Updates - Pa300, Pa600, and Pa900 System Updaters are now available! Updates - KROME System Updater v1.0.4 is now available! Updates - KR-55 Pro System Updater v1.1 is now available! Updates - prologue System Updater v1.10 is now available! Updates - KORG USB-MIDI Driver for prologue is now available! Updates - Pa600/Pa600 QT System software v2.0 is now available! Sampling mode added. Updates - Grandstage System software v1.0.2 is now available! Software Updates Pa700/Pa700 ORIENTAL System software v1.1.0 - now available! Updates - AudioGate v4.0.2 and DS-DAC Setup r5 is available! Now supports Mac OS X 10.13 High Sierra. Updates - KORG Legacy Collection is now supported for macOS High Sierra (10.13). Updates - KORG USB-MIDI Driver for KROSS 2, Pa1000, Pa700 and Pa700 ORIENTAL is now available! Updates - Grandstage System software v1.0.1 is now available! Updates - Pa4X Operating system software v2.0.1 is now available! Updates - Pa4X Operating system software v2.0.0 is now available! Update - minilogue System Updater v1.23 and Librarian v1.0.1 are now available! Update - monologue Sound Librarian v1.0.1 is now available! Update - KORG BLE-MIDI Driver v1.12 which supported Windows 10 Creators (Version 1703) is now available! Updates – volca kick Operating system software v1.02 is now available! Updates - KORG BLE-MIDI Driver v1.11 is now available! Updates - KORG USB-MIDI Driver for Windows 10 now available! Updates - Pa80 Card Converter version 1.10 is now available! Updates - monologue System Updater v1.1 and monologue Sound Librarian v1.0.0 are now available! Updates - KORG USB-MIDI Driver for monologue is now available! Updates - KRONOS System Updater v3.1 and KRONOS Editor/Plug-in Editor v3.1 are now available! Updates - microKORG Sound Editor v2.00 is now available. Now supports microKORG S.
Updates - Pa4X ORIENTAL Operating system software v1.2.4 is now available! Updates - Pa4X Operating system software v1.2.4 is now available! Updates - KORG USB-MIDI Driver for ARP ODYSSEY Module is now available! iAudioGate for iPhone version 3.1.0 is now available! Updates - AudioGate v4.0.2 and DS-DAC Setup r3 is available! Now supports Mac OS X 10.12 Sierra. Updates - nanoKEY Studio Operating system software v1.07 is now available! iAudioGate for iPhone version 3.0.0 is now available! Updates – volca fm operating system software v1.02 is now available! Updates - Song Book Editor for Pa series/HAVIAN 30 version 2.0 is now available! Updates - new OS v1.02 for nanoKONTROL, new Windows MIDI driver with added nano support. Updates - Liverpool Musical Resource v1.02p now available! - Add pre-count to all Liverpool songs. Updates - Pa4X Operating system software v1.2.0 is now available! Updates - minilogue Operating system software v1.10 is now available! Updates - KONTROL Editor and KORG USB-MIDI Driver for nanoKEY/KONTROL Studio are now available! Updates - Control Surface plug-in for GarageBand/Logic for nanoKONTROL Studio is now available! Updates - MS-20M Kit Operating system software v1.01 is now available! Updates - KROSS Operating system software v1.0.4 is now available! Updates - HAVIAN 30 Operating system software v2.0.0 is now available! Updates - Pa300 Operating system software v2.0.0 is now available! Updates - Pa4X Operating system software v1.1.3 is now available! Updates - mini kaoss pad 2S System Updater v1.10 released. microKEY Air - Bluetooth MIDI Driver for Windows is now available. Updates - minilogue Operating System v1.04 and USB-MIDI Driver released. Updates - Liverpool operation system v1.02 and Musical Resource Updater v1.02 released. Updates - Pa4X Operating system software v1.1.0 and New styles are now available for the Pa Series! KORG KONTROL Editor v1.6.0 for New microKEY and microKEY Air is now available. cortosia version 1.3 is now available. Step Master version 1.1.0 is now available! iAudioGate for iPhone version 1.0.4 is now available! iM1 for iPad version 1.0.3 is now available! iAudioGate for iPhone version 1.0.3 is now available! Announcing software update version 1.30 for volca sample! Compatibility charts for Windows and Mac OS have been updated. A new update for the Pa3X is now available. KORG Kontrol Editor v1.5.0 and taktile Control Surface plug-in for GarageBand/Logic version 1.0.0 for taktile/TRITON taktile are available now. Announcing AudioGate 3 Player - v3.0.1! 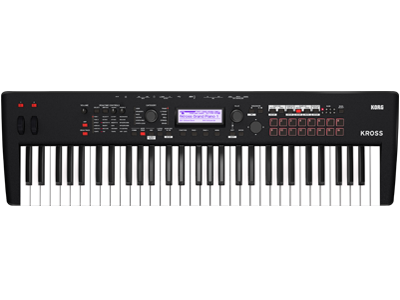 KORG USB-MIDI Driver now supports new products. Home News Updates - KROSS 2 System Updater v1.1.0 and KROSS 2 Editor/Plug-In Editor v1.0.0 are now available.